Once again, Tahoe was having a late start to the season with lots of rain and spotty snowfall, in spite of the torrential rains we got in the Bay Area. So in late November we decided to hedge our Christmas bets by booking a trip to Colorado. 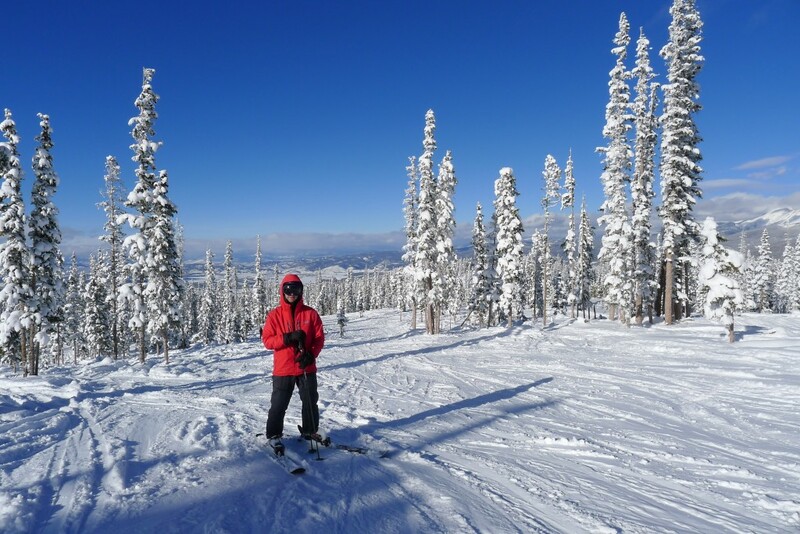 I skied 2 days in early December at Northstar and Heavenly on the few open runs in poor conditions. We arrived December 19th at 12:30AM and after straightening out a rental car nightmare, we got to bed at 2:30AM. 4-hours later we got up and made our way up to Winter Park for our first new resort of the 2014/15 season. I lived in Colorado for 8-years, but for some reason I never made it to Winter Park. We hit it perfectly because they received the most snow in Colorado overnight with 8″ of fresh. The next 2 days we skied Copper Mountain, which was also a new one on the list that neither of us had ever skied. A big storm came in on the 2nd day at Copper, with 9″ of new and heavy snow falling all day. It got very windy at the end of the day, but it was a great powder day. The last day we checked out of our hotel, dug the car out, and made our way up Loveland pass on I-70 to the Loveland ski resort. It was a full-on blizzard with super-marginal driving conditions. The car got stuck trying to get off the freeway into the upper parking lot, so we went down the the Valley parking lot and skied the 14.5″ of overnight fresh before heading back down to Denver to catch our flight home. Loveland had the largest storm total of any Colorado resort, with 40″, so once again we hit the jackpot, although the wind, cold, and falling snow were brutal to ski in. They shut the freeway down for several hours right after we made it into the parking lot, so we had the place pretty much to ourselves. The day after we made it back from Colorado, we headed up to Tahoe with the kids to celebrate Christmas. Christmas day we skied Kirkwood for the first time this year. They were 100% open with 4″ of fresh. It was icy underneath that 4″, so not great but pretty fun nonetheless. We both tried out our new powder skis (ON3P Billy Goat 186 for me, and Salomon Rockette 115 for AiRung) and were super happy with them. So as of now, 3 new resorts down, for 40 total, and 5 total days of skiing for AiRung, 7 for me. This entry was posted in Uncategorized on December 29, 2014 by Ron Thompson.